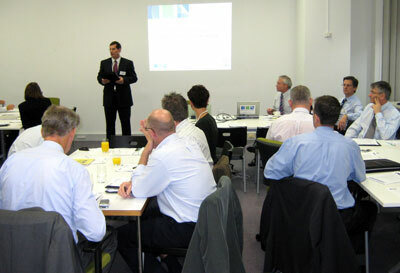 A stakeholder’s workshop held by the CRC for Construction Innovation in Perth on 28 May confirmed the commitment by WA government, industry and researchers to sustainable infrastructure delivery, a national framework for improved safety, best practice procurement strategies and enhanced productivity. The workshop was attended by senior WA Government representatives from Treasury, Office of Strategic Projects, Planning and Infrastructure, Housing and Works, Main Roads, Culture and the Arts and the WA Museum. Industry was represented by staff from 12 industry associations and the Built Environment Design Professions. Key representatives from Construction Innovation’s industry partners and collaborators included Mirvac, Leighton, PB, Woods Bagot, Thiess, John Holland Group, Transfield Services and Rider Levett Bucknall. Research partners attending included the Curtin University Sustainability Policy Unit, WA Planning and Transport Research Centre, and other Curtin University researchers. The WA stakeholder’s workshop was the first in a series of workshops Construction Innovation is running in Sydney, Melbourne and Brisbane this next month to undertake discussions and seek stakeholder engagement on future projects for the Sustainable Built Environment CRC. improved procurement frameworks and a foundation for transforming the business environment to improve industry productivity.